At Wallace White Accounts we offer a complete accountancy service offering advice and direction to large companies and sole traders alike. When it comes to the end of the financial year it is important to have accurate and up to date statutory financial statements as required by HMRC and Companies House. We remove all the pressure, bringing together your books and statements to create all the necessary documentation. 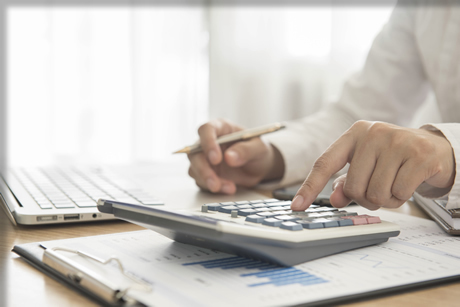 Our accountants are always up to date with the latest filing and statutory rules so you can rest assured that all your accounts meet all the necessary requirements. We are experienced in working with large companies as well as sole traders and partnerships and can also help self-employed individuals complete their self-assessment. Let us manage your accounts so you can focus on running your business. No matter the business or circumstances we are confident that we have the skills and experience needed to build a clear and simple picture of your financial situation. We guarantee excellent quality of service and you’ll be happy to know that all our charges agreed in advance and tax deductible. If you are interested in Accountancy services from Wallace White Accountants then please fill out the quick Enquiry Form below or simply give us a call on 0141 221 4345. We assure you of a quick response.